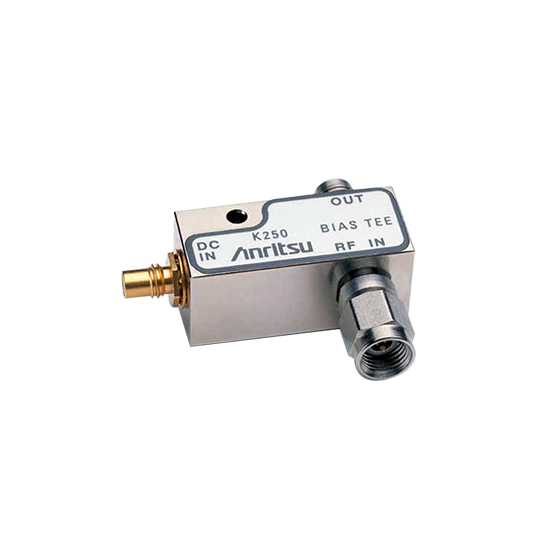 These bias tees are designed for applications where both DC and RF signals must be applied to a device under test. They are particularly suited for active device measurements. DC voltages of up to 30 volts at 0.5 amps may be applied to test devices with negligible effect on RF performance. Low RF throughline loss(<1 dB) and low return loss ensure negligible effect on measurements up to 60 GHz. An RF input DC block isolates the input port from the applied bias voltage.